For years, Michael McMillan watched a homebuilding market in decline but compromising quality was never an option. An entrepreneur from an early age, McMillan excelled at finding ways to do things differently—or “optimally,” a word he often uses. Today Davidson-based McMillan Builders (http://www.McMillanbuilders.com) is bringing an updated, smart, and no-nonsense approach to a market its owner says is crowded with profit-focused “custom” homebuilders. Building one-of-a-kind homes for over two decades, McMillan says he’s all about partnering with clients for “forever” homes, a goal that requires an extraordinary level of trust. McMillan says, “We’re building relationships so we can build unique luxury homes.” That client focus, he adds, is his passion and at the heart of what sets his firm apart. “In building, we utilize a ‘System’ approach, in which the project is viewed as a whole, much like the human body,” explains McMillan. “It’s science, and we do our homework to achieve a lifestyle match for buyers that is optimal in efficiency, function, and longevity.” McMillan adds that his process includes Energy Use Analysis and testing to achieve optimum comfort. 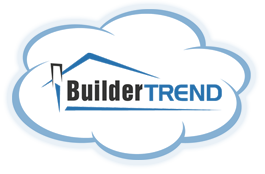 Customers are also drawn to McMillan’s “transparency” model of business that keeps them “in the loop.” With BuilderTrend, an award-winning builder web-based platform, McMillan is able to utilize Client Project Management software. That means McMillan’s clients have 24/7 access the details of their project via their smart phones or computers—including budgets, schedules, and materials selections. McMillan sees the shift to invite customers into the building process with new technology as innovative and “industry-changing.” This higher level of interactivity is just another way McMillan provides clients with an engaging, positive, and memorable building experience. The technically savvy client also appreciates that McMillan is one of the early users of the Houzz platform for home remodeling and design. Using the popular service, McMillan Builders http://www.houzz.com/pro/mcmillanconstruction/__public is reaching their target customer—in all places and at all times. While living in Europe, one couple was introduced to McMillan on the Houzz site. They later contracted with the builder for a multi-million dollar estate in the foothills of North Carolina. “Houzz gives us a national platform to tell the story of what we do,” comments McMillan. “It’s a match that works for us, for our buyers, and for the changing, expanding market.” Houzz.com allows visitors to peruse and save award-winning architectural photographs in order to define (and share) their style. The site is considered by many to be “industry-changing.” This month, Houzz will feature McMillan in its Homebuilder Spotlight. 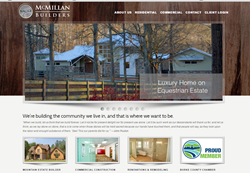 Established in 2008, McMillan Builders is located in North Mecklenburg, NC. 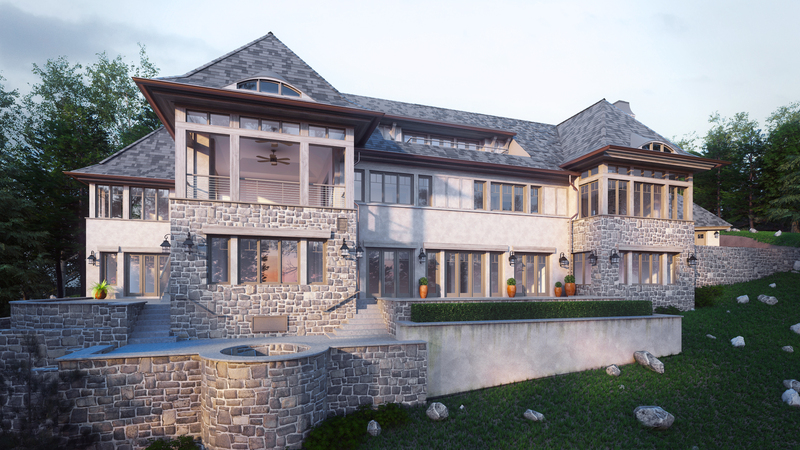 Owner Michael McMillan has a solid background in luxury homebuilding, extensive training in the building sciences and energy efficiency, and a reputation for partnering with clients with an emphasis on preconstruction consultation and builder transparency. McMillan Builders communicates its values through its construction excellence and its involvement in projects such as the 2011 construction of a Veteran’s Memorial in Cornelius, NC and multiple expansion projects with The Community School in Davidson.